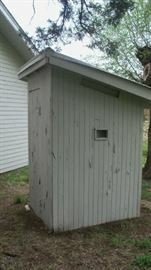 AddressThe address for this sale in Mcpherson, KS 67460 will be available after 9:00am on Thursday, May 2nd, 2019. We accept Cash, Credit and Debit. 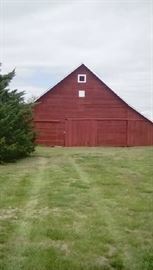 The Barn! 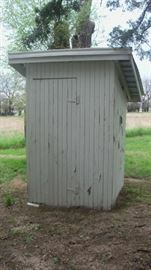 There will be lots of items for sale in here as well as in the round top. 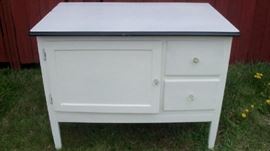 Antique cabinet with enamel top. Very country kitchen. 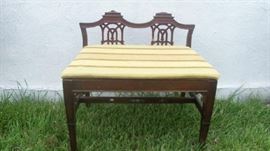 Small Regency style bench. 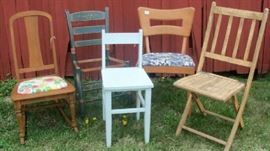 Great for a space you need a small piece of furniture. Entryway, end of hallway, the foot of the bed, etc. 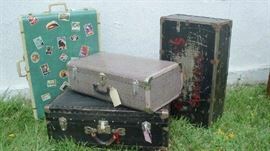 Assortment of vintage suitcases and trunks. Great decoration and storage. 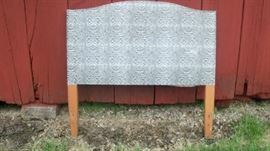 Vintage headboard off of a twin bed. 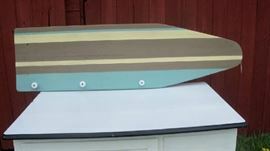 Coat or clothing rack made from a vintage wooden ironing board. 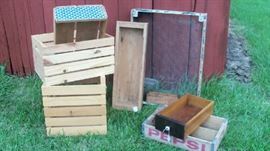 Assortment of wooden boxes. Some newer, some vintage. Great pieces for displaying items. 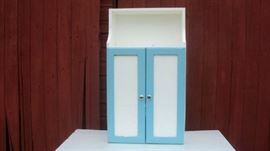 Cute small cabinet with shutter doors plus an assortment of shutters. Display stand. Great for fruit and veg. stand. Baskets for sale separately. 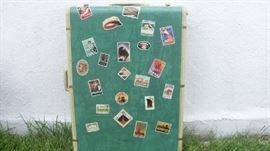 Small, cute table made from a suitcase. Great storage. Vintage sign and artwork including painting of Sear's mail order barn. Screen and assortment of old windows. Large Dining Room table with four chairs and two captain's chairs. Solid wood.